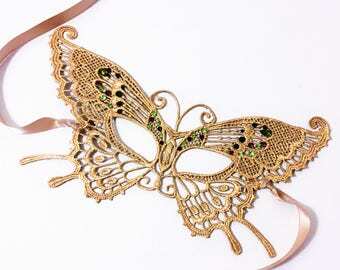 This beautiful butterfly mask for your little girl or boy has gold, purple, green shimmer and matching Rhinestones. Lightweight for comfort. 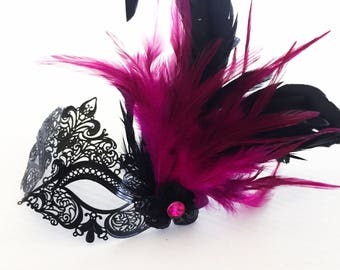 The mask is flexible and can be fitted to the face. Suits ages 1-4. 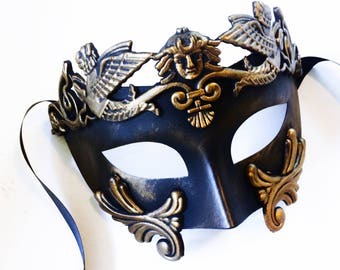 This is a metal mask so please be careful of sharp edges when allowing a child to wear, watch them at all times and only use for shorts times for photo shoots. 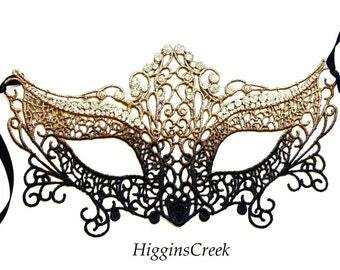 This filigree Mask is made of laser cut sheet Metal. 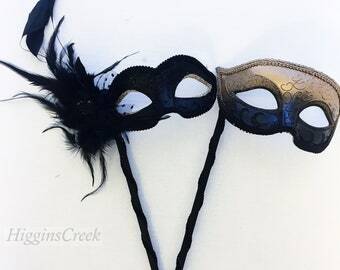 Comes with matching Ribbons. 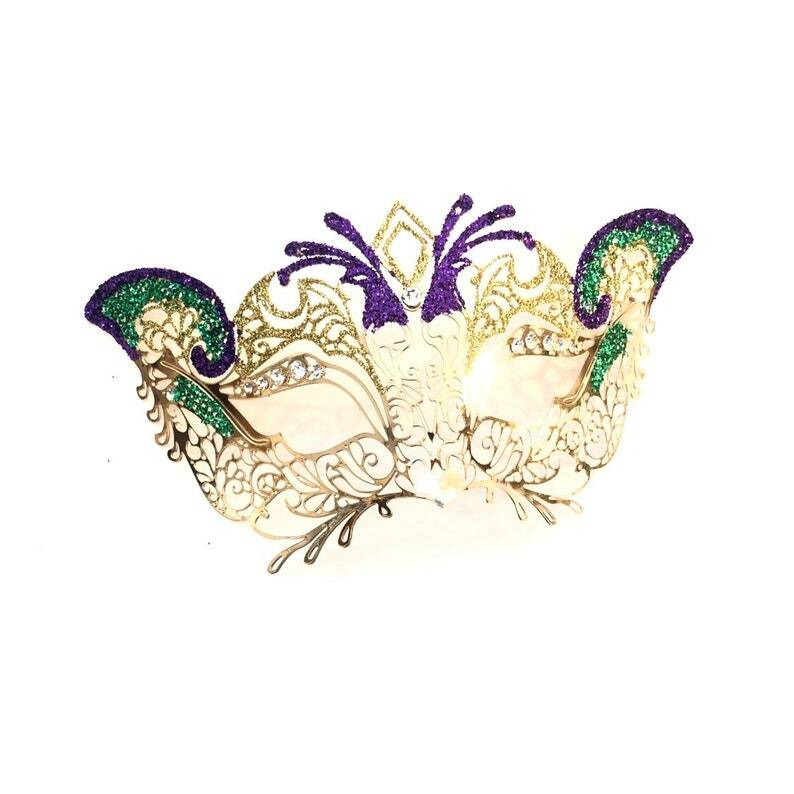 If you don't find the mask or rhinestone color you need, request a custom order quote above. 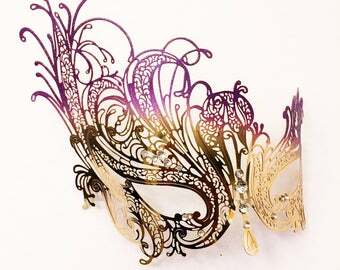 If you pick the glitter option, pls leave the glitter color(s) you would like on the mask. Measures approx. 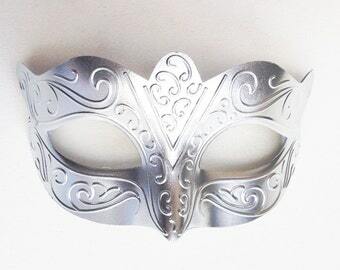 8 inches in length, 7cm in Width from forehead to nose, eye length 4cm and nose bridge 4cm. 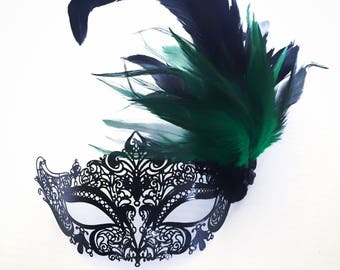 The mask is beautiful. Thank you so much.